Protect yourself from darkness with this gorgeous Hamsa hand design. This statement necklace is handcrafted, laser cut and engraved from 1/8 inch thick poplar wood. The hemp cord is hand braided and tied. This unique piece of jewelry is sure to call attention to your own particular lifestyle. Your friends will be asking you for this unique necklace. This will be definitely cool to add in your collection as it is light and comfortable. An artist uses pencil to sketch on paper or a paintbrush on a canvass to create a masterpiece. The resulting art would be in its unique form and quite often would increase its value over time. Art takes any form as long as it's used with creativity, and conveys an interpretation to its viewers. Modern art are more so that interpretations can be what one's mind imagine it to be. Commercial art serves two purposes - to be appreciated and to inform. Wikipedia describes QR Code as the trademark for a type of matrix barcode (or two-dimensional barcode). It was first used in the automotive industry in Japan but had since diversed into other industries. One very important thing QR Codes do though is to instantly make information available. I mentioned in my previous post that I lived in China for over 20 years, and I've witnessed the growth and expansion of this technology into almost every sector in which information exchange is vital to conducting business. It won't be surprising if and when QR Codes become popular in specific regions. Our daily use of mobile devices such as our smartphones and tablets can readily scan and read encoded information in QR Codes. And the only app required on your mobile devices is a scanner, which are freely available for iOS and Android, and even Windows mobile devices. Imagine a signage with a QR Code and you using your smartphone to scan the QR Code. This would be the equivalent of clicking the mouse button but not on a monitor screen. The query and display of your scan would be displayed on your smartphone instead. Where it was once used in the automotive industry to store information on car parts, etc., QR Codes are now used in the food, recreation, banking and finances, e-commerce, aviation and most public transportation, etc. allowing customers easy access to a wide range of information. A couple of the most popular use for QR Code are phone-to-phone and sign-to-phone transfer of individual or company information such as name, addresses, contact numbers, email addresses, etc. This is a method that individuals and companies can distribute their basic information to a wider range of people at minimal cost. 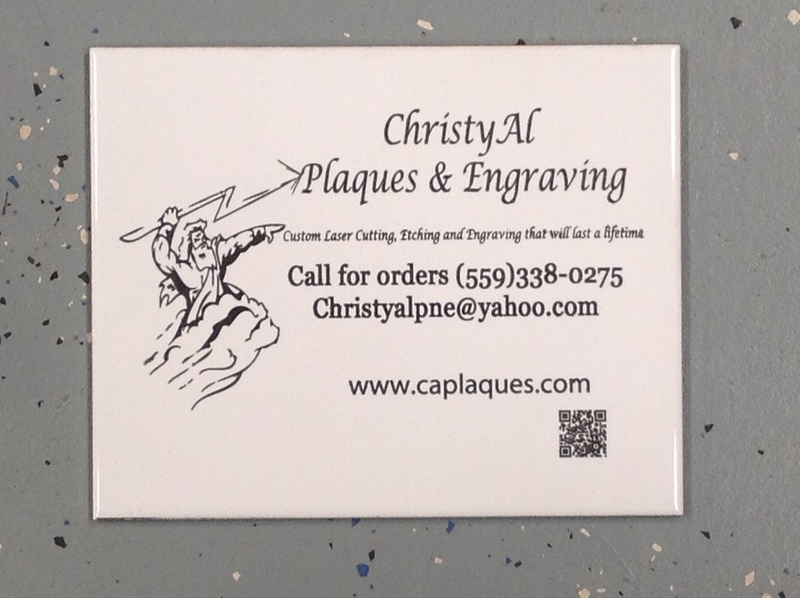 Next time you order a sign or even a new box of business cards, consider including a QR Code. It's not only artistic, it gives the owner a unique 2-dimensional matrix barcode.